A specialty Shine A Light beer, shirts and a poster with this great art by Luke LaMarca will be for sale as well. All proceeds raised from this Shine A Light Music Series show will benefit the Tommy Brull Foundation Inc. The Tommy Brull Foundation is a 501c3 not-for-profit dedicated to improving the quality of life for children and adults with physical, intellectual, and emotional challenges on Long Island New York. The proceeds from this show will help fund the construction of Mr. B’s Adaptive/Inclusive Playground in Rockville Centre, NY. This playground will promote inclusion and allow children of all abilities to play together. Thus far, the Shine A Light Music Series and The Tommy Brull Foundation have donated $82,500 towards this project. Our goal is to bring this total over $100,000 with this show. We just released a new video for our new song ALL READY TO GO. Hope you enjoy and thanks to Craft Recordings and Manuel/Antonio at dreambear for getting this made! 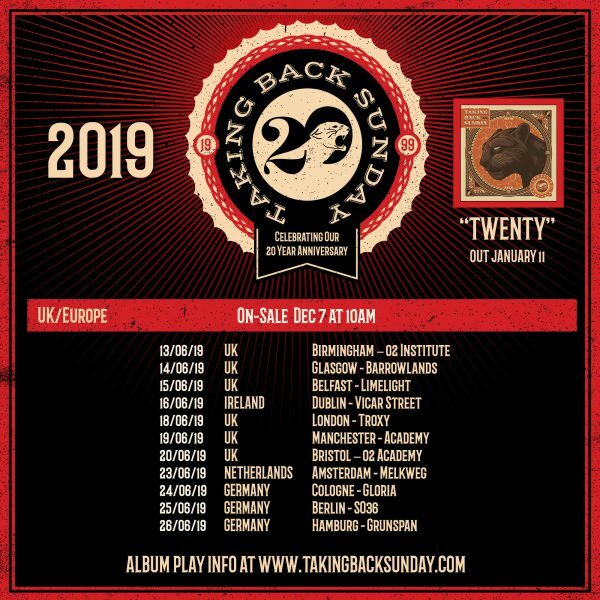 Excited to add some UK/Europe dates to our 20 Year Anniversary Celebration! Since these are one-night shows we’ll be playing Tell All Your Friends and then a nice selection of other songs. Excited to celebrate with you guys, tickets go on sale Friday, December 7 at 10am GMT. We are now taking pre-orders for TWENTY in a variety of formats! The career retrospective album featuring two newly recorded tracks will be out on January 11. 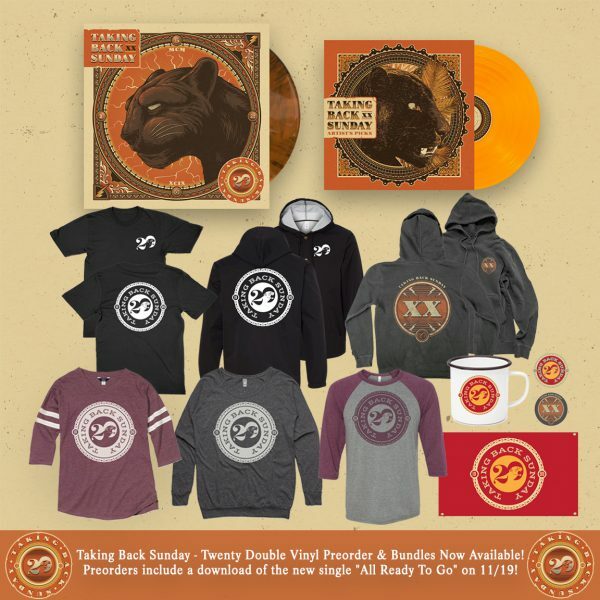 From our official US Store you can order a variety of Vinyl + Merch Bundles in the Exclusive Panther’s Eye Variant which will only be available there and at our shows. We’ll also have the Artist Picks 10″ companion piece available on clear orange vinyl. Track listing for both is below. 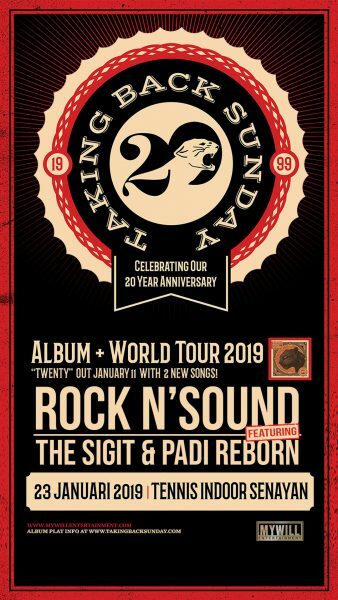 We will also be doing a 2019 World Tour to celebrate the 20 Year anniversary! 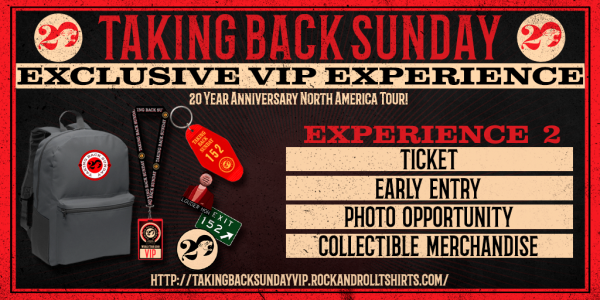 Tickets and VIP Packages available now for Leg 1- many more dates to be announced! 20 – EVERYTHING YOU NEED TO KNOW ABOUT THE TOUR! 2019 World Tour and Career Retrospective Album “Twenty” out NOW on Craft Recordings. – In Australia we will be doing specific album plays listed below. – If we are coming to your city for one night we will be playing a long set including Tell All Your Friends in full along with all of our favorites. – In North America if we are playing two nights in your city, Night 1 we will be playing Tell All Your Friends and then we will flip a specially designed coin on night one for either Where You Want To Be or Louder Now in full as well! Night 2 we will also play Tell All Your Friends + the coin flip loser. Both nights we will try and throw in a few other favorites. – In Europe we will play Tell All Your Friends + a great selection of songs from our catalog. There are two merch options with the VIP and you will also have an option to purchase with tickets or upgrade if you ALREADY have tickets – you must have them to attend! That adds up to 4 options so please choose carefully! If your show is sold out but you have tickets already you can upgrade to VIP until about a week before the show! for all of the relevant on-sale info! Thank you for letting us continue to do this! NORTH AMERICA LEG 1 On-Sale Now! NORTH AMERICA – LEG 1 On-Sale Now! Support: 3/25 – 4/14 frank iero and the future violents. NORTH AMERICA – LEG 2 On-Sale Now! 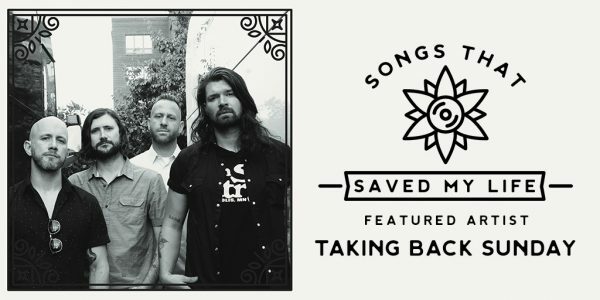 November 10 & 11 Fillmore Silver Spring, Washington, D.C.
Glad to be a part of the new compilation Songs That Saved My Life out 11/9 on Hopeless Records. 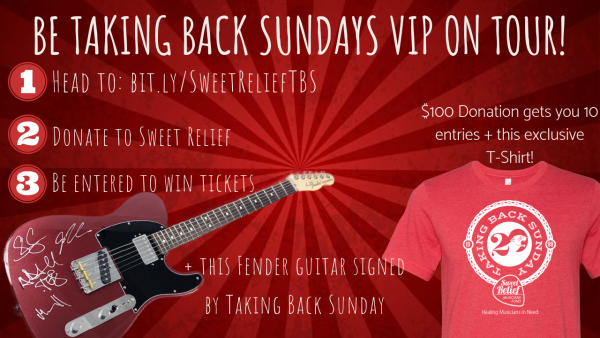 This comp will benefit charities dedicated to mental health and suicide prevention. It features artists covering songs that helped them through a difficult time. Selected by Shaun, we covered Bullet With Butterfly Wings by Smashing Pumpkins. You can get all of the information at www.songsthatsavedmylife.com . 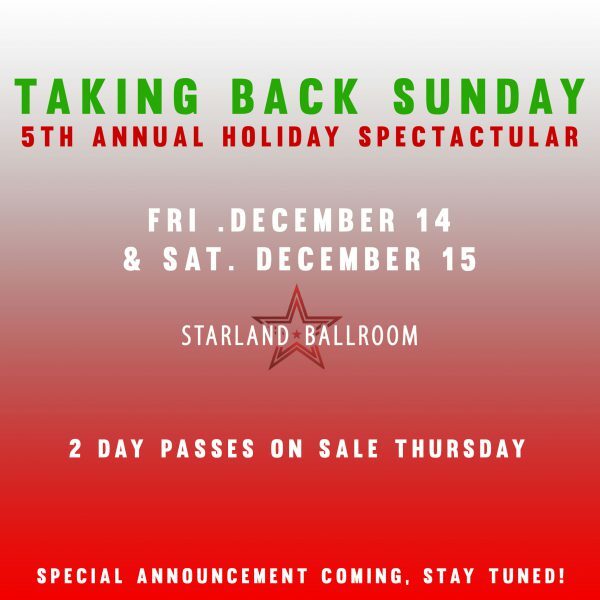 Excited to return to Starland Ballroom for 2 shows December 14 & 15! Two-Day passes go on sale this Thursday August 30 at noon! More announcements about these special shows coming! 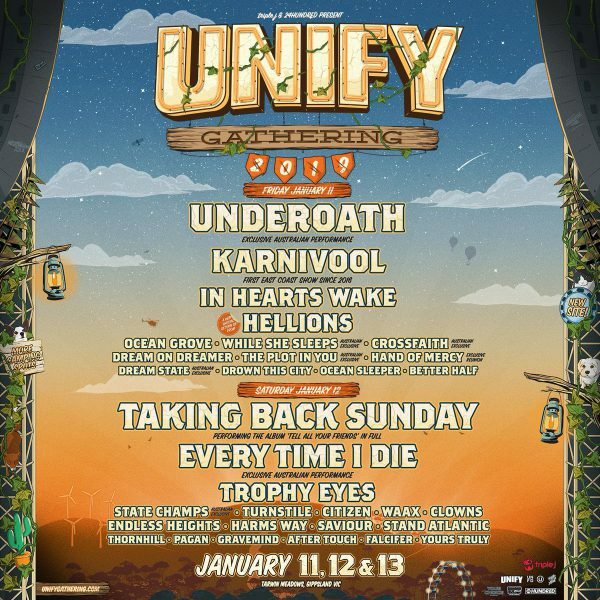 Very excited to headline night two of UNIFY GATHERING January 12, 2019! For this special show we will be playing Tell All Your Friends in full for the first time in Australia, along with some other favorites! Tickets are on-sale today!